Manufacturer of a wide range of products which include electro- pneumatic control panel and pneumatic control panel assembly. Being one of the leading manufacturers and distributors of the Electro-Pneumatic Control Panel for Dyeing Machine, produce them using only high grade raw materials. Further we send these products for a number of quality checks in order to provide our customers high quality goods and satisfaction. 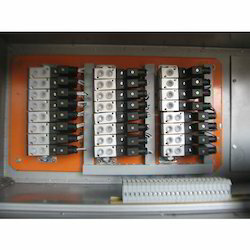 These pneumatic control panels have a sturdy construction and are extremely durable. These control panels are very easy to maintain and are quite user friendly. We distribute these products at a market leading price. We offer a wide range of high quality Pneumatic Control Panel Assembly for Valve Automation solutions to our valuable customers. These solutions are designed by experts by first studying the requirement and needs of these plants thoroughly. These plants are designed by our team of experts based on the information collected from these plants. These solutions are rigorously tested to suit the needs of these plants. These products find applications in various industries where value automations are performed in the pressurized systems. We offer complete training on installed systems, including basic troubleshooting, which are highly appreciated by our valuable customers. These services are offered at standard market prices. 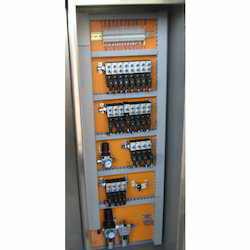 Looking for Pneumatic Control Panel ?